We all know those people who hang around Shoreditch taking black and white pictures of discarded newspaper blowing along the street, only then to post them on Instagram and call themselves a photographer in their bio. What about the people who write grammatically unsound blogs about their cats to an audience of 4 and call themselves journalists? The Japanese have a particular group of people that put these posers to shame. In his book Outliers: The Story of Success, author Malcom Gladwell repeatedly pushes the ‘10,000-Hour Rule’, the idea that to master world class expertise in any skill, one must practice for 10,000 hours. 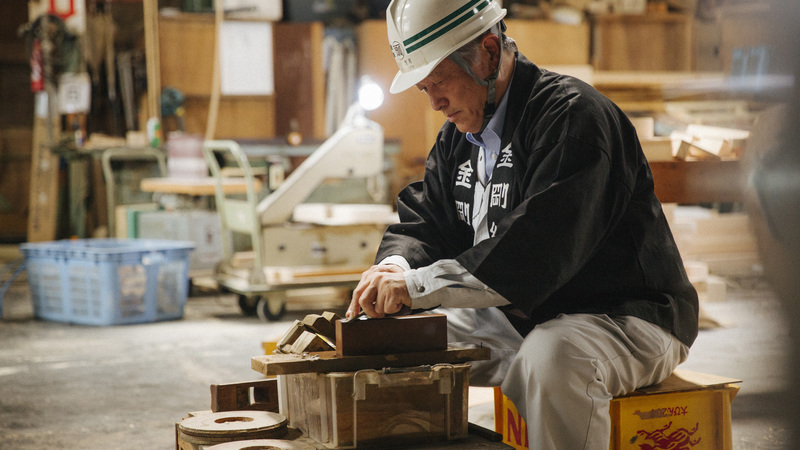 Takumi’s are Japanese artisans, experts in their chosen fields, who have trained for a figure closer to 60,000 hours. That’s 8 hours a day, 240 days a year, for over 30 years. The 1980′s saw a surge of popularity in technological advances; Beta Max, Walkman, and the Mr Frosty Slush Master, and our obsession with technology shows no sign of waning. In direct opposition to this however, people are fast revisiting their obsession with hand crafted products through a almost techno-fatigue and a wish to go back to basics and have products with a human tough they can connect with. Craft speaks to inherently make us human, straight from thoughts to hands. Set for release tomorrow, 19th March on Amazon Prime, Takumi is a short film exploring the almost-superhuman dedication of four extraordinary Takumi’s. Produced by Lexus and directed by Clay Jeter (Netflix’s Chef’s table), Takumi tells the story of a chef, a carpenter, a Lexus employee, and a paper cutter who have all dedicated tens of thousands of hours to their stunning crafts. Interspersed between long lingering shots of the Takumi’s, with immersive music and slow camera work, are interviews with futurist academics, telling of the impending dominance of technology. Author, academic and expert in artificial intelligence and robotics Martin Ford, bursts the relaxing effervesce of the slow-moving camera shots and examples of human achievement, and brings us back down to hard metal facts. He makes the strong argument that advances in technology, specifically robotics and artificial intelligence will soon render much of the human workforce obsolete. This has been the case for some time, for example in 2004 when the 22-strong orchestra of Les Misérables was cut to nine people and bolstered out with a machine to replicate the sound of the instruments. His argument was supported by Oxford professors Michael Osborne and Carl Benedikt, whose 2013 study found that the jobs held by roughly 47% of the American workforce could be susceptible to automation within the next two decades, predominantly menial jobs such as supermarket checkout clerks but also higher paid vocational positions like software designers and radiologists are also at risk. This stark reality of the influx of the technology invasion is in direct contrast to the dedication of these four Takumi’s to their hand crafts. A double Michelin starred chef, a carpenter working for one of the world’s oldest construction firms specialising in the Miyadaiku, buildings, usually temples, that use an elaborate joint system and need no nails, and an automotive craftsman for Lexus are all exemplary Takumi’s, but it is the paper cutter Nahoko Kojima that is most fascinating here. 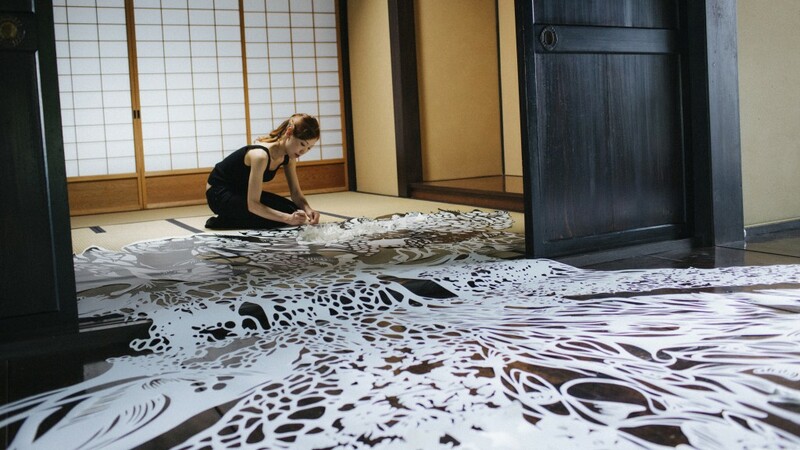 Creating elaborate pieces by delicately cutting shapes into sheets of paper 15 feet long, her craft serves no purpose other than to be beautiful. Unlike the others in the film, her art is not reasonable. It doesn’t create a building, it doesn’t feed anyone, it doesn’t produce a form of essential transport, it is simply stunning. She produces the paper she uses known in Japan as ‘Kirie’, in a process that takes up to 8 months. Speaking about her almost obsessive craft, Kojima says; “The essence of Takumi is to gain a sublime understanding of the nuances of a particular art. To be focused and spend countless hours on one thing, and to carry on. It requires one to empty the mind and focus in a way that is simply not possible when still acquiring a skill.” At a mere 37 years old, Kojima has already dedicated 60,000 hours to her craft. She began training in ‘Kirie’ when she was five and has had her work displayed all over the world including the Satchi Gallery with her 2012 piece, ‘Cloud Leopard’. She shows a truly astonishing dedication to her craft in the name of creativity, using scalpel blades that are half the thickness of normal blades and must be replaced every three minutes. 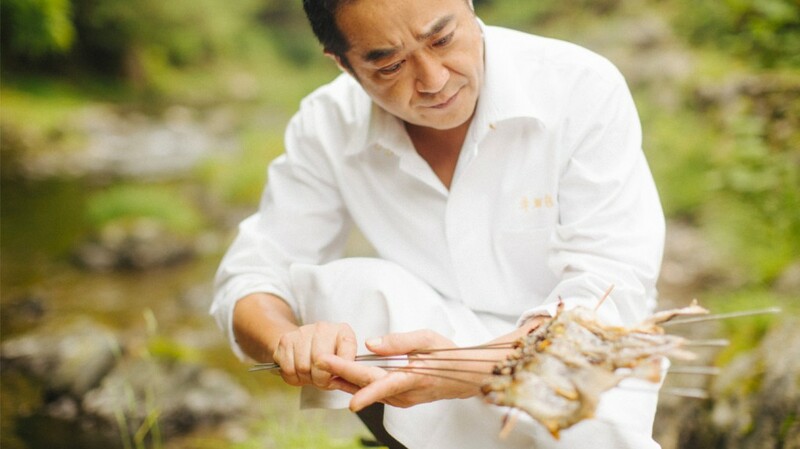 Although the documentary focuses on the unrelenting dedication of four exquisite Takumi’s to hand crafts and the scary encroachment of usurping technology, there is also a sense that there can exist a symbiotic relationship between technology and craft, shown through Katsuaki Suganuma, a Takumi for Lexus. By running his hand over the finished cars, he can advise that the glass in a window needs to be moved by 0.03 of a millimetre. 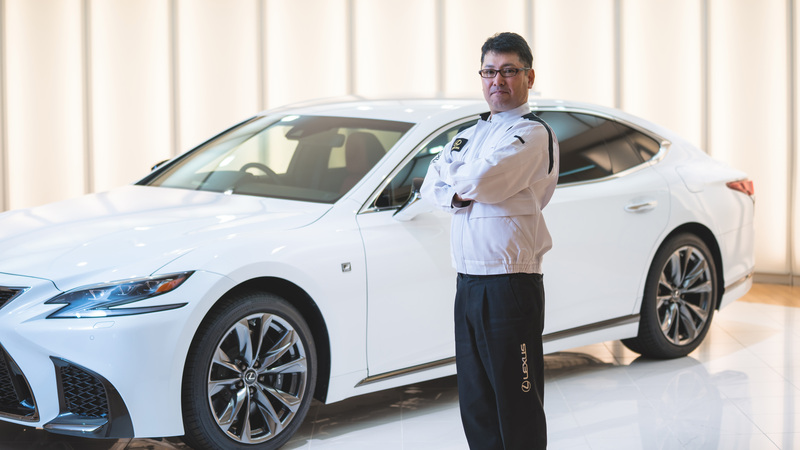 He has worked for Lexus for 32 years and has seen the introduction of artificial intelligence and robots. The documentary shows how Katsuaki is an integral part of one of the most high tech businesses in the world, proof that humans still play vital role in sectors so heavily reliant on technology, using their super-human senses at every stage of production. The UK premier of Takumi was screened at the stunning Japan House in High Street Kensington. Guests munched on delectable Japanese themed canapes washed down with cocktails inspired by Japanese flavours. Japan House is a cultural hub of all things Japan, with a restaurant, shop, art exhibitions, a library and even complimentary travel advice right in the heart of High Street Kensington. Extraordinarily, there is a 60,000 hour version of the film available to view on www.takumi-craft.com so viewers can get a taste of the level of dedication and sacrifice it takes to achieve the level of a Takumi.